Analog input for gaming and beyond. The odds are that every computer keyboard you've touched uses digital switches. That is, they're either on, or they're off. PC hardware manufacturer Cooler Master is working on a keyboard with analog input, and it's on Kickstarter right now. 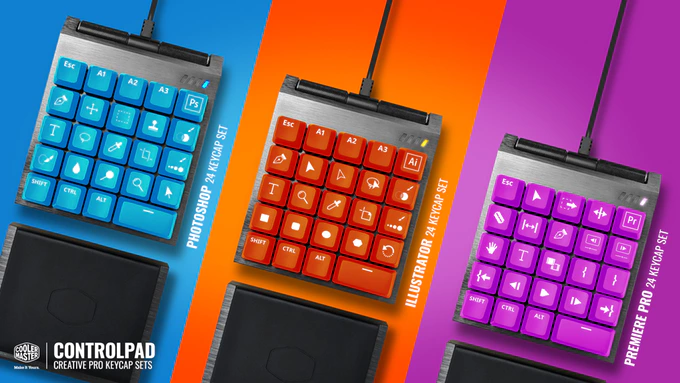 The ControlPad is a small board with 24 keys, each one of them capable of full analog input, and it's not a complete ground-up redesign of standard keyboard switches. The ControlPad has 23 single unit keycaps in an ortho layout (i.e. not staggered). At the bottom right, there's a single 2u keycap. These are all programmable, but you're probably supposed to use the 2u as a spacebar. 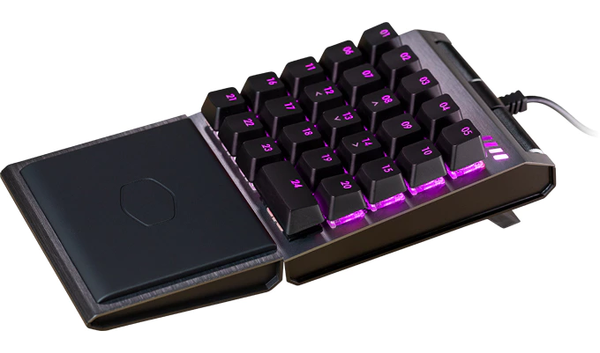 Cooler Master is pitching this as a gaming device, which makes sense. Analog input offers more control in certain situations than a standard key. When you play a game with a controller, you have analog sticks. You nudge the stick a little, and you move slowly. Push it all the way, and you go faster. A regular keyboard switch is just on or off; stopped or running at full speed. With analog input, you can press a key just a bit to move slowly. I've used an analog keyboard in the past, but that device (the Wooting One) was designed with special optical switches that wouldn't work in a standard board. The ControlPad uses your choice of Gateron or Cherry Red switches—they're light and linear, which makes sense in this case. As you press, the ControlPad can output a signal that indicates how far the switch has been pushed, a technology known as "Aimpad." An infrared LED accompanies each switch. That light reflects off the underside of the keycap, bouncing back to hit a sensor. The intensity of that signal tells the board how far the key has been pressed. Cooler Master is also making extra keycap sets for the ControlPad. It's very clever, and should allow you to use any switch, Although linear switches make the most sense, and Cooler Master is only offering the two options right now. How does it work for PC games? 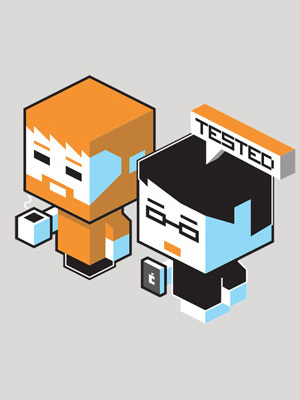 Aimpad is essentially emulating a game controller to map the board's analog inputs. This is a third-party with which Cooler Master has partnered, so there are already several hundred fully tested and supported games. Other games might work, too, but no promises. It's not just for gaming, though. Cooler Master is also making keycap sets for apps like Illustrator and Premiere. You'll have to map the keys, though. This is a Kickstarter project, so it's always possible the hardware could end up delayed or not live up to expectations. However, Cooler Master has a history of bringing keyboards to market. You can get your ControlPad for as little as $80 with Gateron switches. That's the one to get, in my opinion. Gateron's linear switches are smoother than Cherry. Cooler Master says the ControlPad will ship in may 2019.